This opens the main Stallion Theme options page (labeled “Stallion Theme”). If you’ve not registered Stallion with your unique Stallion ID, please do so now, you can not save any options long term before registering. Change the “Chitika Publisher ID” setting to your Chitika Publisher ID. 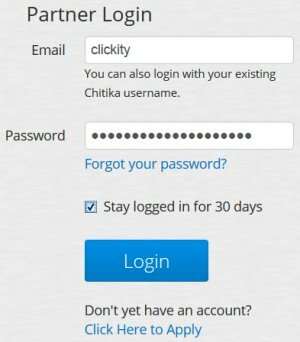 Your Chitika ID is the username you use to log into your Chitika account. Make sure you do not inadvertently copy a space/tab before or after your Chitika ID, it will break your Chitika ads (please check there’s no space/tab, get quite a lot of support requests for this copy/pasting mistake with AdSense). Click the “Save Settings” button and basic Chitika is setup so you receive the Chitika ad revenue. If you are happy with the default Chitika colours, placements etc… that’s all you have to do, all other Chitika settings are optional. On the main Stallion options page you can also select which of the two main ad systems (AdSense or Chitika) should be considered the most important (default order is AdSense, Chitika). The “Ad Post Number” sets which archive post that ad type should be shown on for the home page and archive pages (Categories, Tags, Search etc…). The ad network(s) set to “Post 1” will be shown within the first post of an archive page AND in the main content of Posts and Pages (top of the main content). By default AdSense is considered most important “Post 1”, if you want Chitika to be considered most important set Chitika to “Post 1” and AdSense to “Post 2+”. If you make this change the Chitika “Main Content Ad Unit” (set under the Stallion Chitika options page, by default a 336px x 280px Rectangle ad) will be shown in a high click through area of all pages. If you set more than one ad network to “Post 1” it will look a bit messy, you can have them all as “Post 1”, but best to choose one of the main ad networks as the important one (I always keep it as AdSense as they tend to pay best, but if you are only using Chitika as an AdSense alternative set Chitika to “Post 1”). Ad networks set to “Post 2” and above will have their “Main Content Ad Unit” only shown on archive pages only. 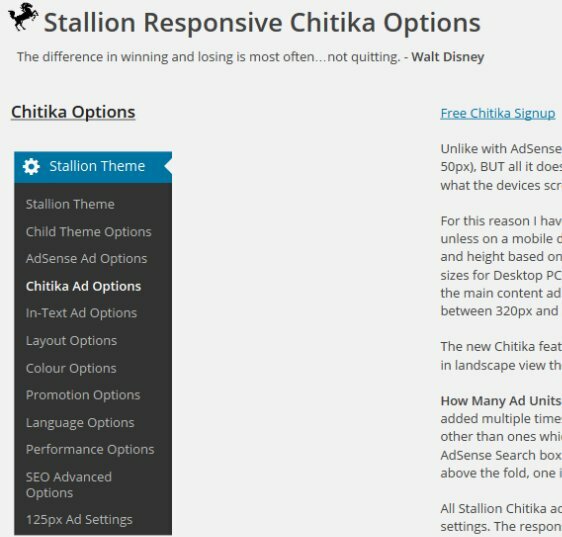 For optional Chitika settings click the “Chitika Ad Options” link on the left menu under the “Stallion Theme” menu. I realise these settings (click the screenshot below for full Chitika options page) may appear a little daunting at first, but they are mostly self explanatory and very easy to use. As you can see from the large screenshot of the entire Chitika options page, most of the Chitika options include a detailed description, so not going to explain what’s already on the options page again here. On all Stallion options pages there’s a “Restore Default Settings” button at the bottom, if you make a mess or get lost with the settings, restore them to defaults (I do it all the time :-)). Unlike with AdSense Responsive Beta ad units, Chitika Ads are NOT mobile responsive by default, they have an ad unit called Mobile (350px by 50px), BUT all it does is hide when the site isn’t accessed by a mobile device AND the ad isn’t responsive, it remains 350px by 50px no matter what the devices screen size (it’s rubbish)! For this reason I haven’t included the Chitika mobile type setting (the Mobile type sets the ad unit to the 350px by 50px ad size and hides it unless on a mobile device, all other settings are ignored), instead I’ve used the same sort of code used in an AdSense ad to select it’s width and height based on the screen size (all on the fly). This means every ad unit scales down to fit the screen width, the settings below set the ad sizes for Desktop PCs (800px+ screen widths) and for smaller screens Stallion automatically chooses the best sizes. For example you might set the main content ad unit to 336px by 280px, but for a screen size below 360px it won’t fit, so Stallion shows a 300px by 125px ad for screens between 320px and 360px and for smaller screens shows an even smaller ad unit. The new Chitika feature of adding a relatively large ad in the bottom right hand corner of a screen didn’t scale down in my tests, on my phone in landscape view the ad filled the screen completely and I couldn’t see the close X to close it. I didn’t find a solution to this issue! How Many Ad Per Page? How Many Ad Units should I use? : Stallion allows for 6 individually crafted Chitika ad units plus the two Sidebar Ad Units are multi use (can be added multiple times). It is not advisable to fill your site with ads, if you add all 6 it will be over the top. I tend to use AdSense on all my sites other than ones which doesn’t comply with the AdSense TOS, I add 3 AdSense content ads (two above the fold, one in the footer) and a Google AdSense Search box (and the search form doesn’t make much revenue). For sites running Chitika I tend to add no more than 4 ad units (two above the fold, one in the middle and one in the footer). I don’t have any sites running AdSense and Chitika together. All Stallion Chitika ads are mobile responsive, as Stallion is mobile optimised for 11 screen widths and each width can have it’s own Chitika settings. The responsive Chitika settings are hard coded in the file /stallion-responsive/mydefaults/responsive_chitika_defaults.php: see the the txt file responsive_chitika_defaults_readme.txt in the same folder for edit instructions. Please note Chitika ads are designed to be shown when a search engine visitor enters your site. This can make it a little difficult to test Chitika ads as they don’t always show up. Also be aware when Chitika is first installed it can make other ads (AdSense) break temporarily. Refresh the page a few times (use CTRL F5) after activating or making a Chitika change and the issue is resolved (I think it’s a caching issue, so not a ‘real’ fault). In Stallion Responsive (not Stallion WordPress SEO) on the Post and Page edit screens there’s an option to disable ads, this setting is similar to the older option described below (which still works for both themes), but stops the ads loading rather than hiding via CSS: this is better SEO wise because your site won’t have to load the ad code which means your pages will load faster (better for Google SEO which takes pagespeed into account). As of Stallion 6.1 the Chitika ads have a CSS class you can use to hide the ads. The ads are still loaded on the page, but your visitors won’t see them. For posts and pages you wish to hide Chitika ads on do the following. Note: this code will hide AdSense and Chitika ads (works for them all). Good news finally got Talian version 04 in a form I was happy to email out. Sorry about taking so long, had some personal things to deal with that’s really taken up my time recently (don’t worry no one died, just life getting in the way). I’ve sent the update emails just now, so unless it gets filtered or something everyone who bought Talian 03 should have Talian 04 for free. If you don’t get it (getting some emails bouncing back, people changed email addresses) drop me an email with the email you used to order and I’ll change the email address for updates. Please read the new readme files under the /readme/ folder, I’ve expanded out some explanations and tried to explain new features like the ability to add custom widgets for easier updates. 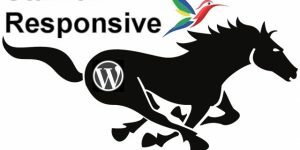 There’s also a zip file in that folder with a core WordPress file that you’d ideally use with WordPress 2.8.5 (only use with 2.8.5). It removes the nofollow links from the new “Reply to Comment” links (like you see below this comment): Google no longer honors nofollow, Google now deletes the link benefit nofollow used to conserve, so we have to avoid using nofollow from now on! You may have noticed this site no longer has AdSense ads, Google AdSense banned this domain from the AdSense program because of the URL (Google AdSense is their trademark)!! I’ve emailed them a few times about it, but they haven’t even emailed back!! Makes me want to incorporate another ad system into my themes, Chikita or something. I got google slapped like half the world. Can Chitika be used in place of Adsense or is there a plan to include Chitika in version 6? With Talian 5 you could ad Chitika as a sidebar widget (paste the Chitika code as a text widget), but would only work on the sidebar. Interestingly I’ve been looking at WordPress ad themes that pretty much only do this and call themselves ad themes! In Stallion 6 (new name for Talian) Chitika is already coded in for the next update (this month I hope). I’ve not finished version 6 yet, I’ve a test to show features and so I have a live site to test as well. And enter the site from the link and they should appear. Chitika ads are by default set to only show to search engine visitors, though it’s not 100% accurate IME. I just purchased Talian 5 and will begin my learning curve with it. I can’t use AdSense (slapped) so I am ready to beta test with Chitika when Stallion comes out for testing. I feel very confident that any issues will be addressed quickly so I feel anxious to get started. I am now signing up for LinkWords but I read in your theme, it said that LinkWords is not compatible with chitika ads. It means that one will appear while other will disappear or what? Please tell me more detail ! The concept behind having 6 ad networks (and custom ads) within the Stallion theme isn’t so you can run all 6 ad networks plus other custom ads on one site, it’s so you have the option of choosing a set of ad networks that works best for a particular site. If you add all 6 ad networks plus other ads not only are you going to overload your site with ads which is terrible from a user perspective, but also seriously slow down how fast your site loads (every ad network you add slows the site down) which can have a negative impact on your search engine rankings. From experience AdSense is better than Chitka and Chitika is better than Clickbank. 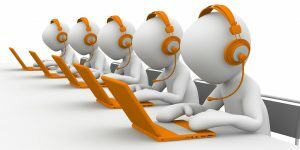 Therefore when choosing a primary ad network prioritize AdSense first. For the secondary ad networks Kontera and Infolinks are similar, if you can get an account with one of them use them first. If you’d prefer to confirm this for yourself run AdSense a week, Chitika a week and Clickbank a week with the same layouts and see which makes you most money (it’s always AdSense when I’ve run the tests). I don’t like the Inlinks ad networks, I think they make a site look ad overloaded so don’t bother with them. I concentrate primarily on AdSense, but I always avoid going over the top on ad placement as trying to find a balance between making ad revenue, not irritating users (too many ads drives visitors a way) and not slowing the site down. It can be a difficult balancing act, I want the whole page to be an ad, but that will in the long term make less money. For my 100 domains (run ads on around 95 of them) most run AdSense alone, those that are not suitable for the AdSense TOS (adult and gambling sites for example) run Chitika, none run Clickbank because Chitika has never declined one of my domains that I couldn’t run AdSense on. In the future I’ll probably add more ad networks, Amazon for example and the same will hold for those, avoid overloading your site with ads, visitors hate it, search engines hate it. I got approved from Infolink but when I copied and pasted into what you told me through your guide, my website still not appear the infolink. What’s the problem? Oh, I want to create subdomain for my website, does your theme still work for that? Please note it can take time for the Kontera ads to show up on a site, so don’t panic if it takes a day or two before you see the ads. Same with Infolinks Stallion Theme InfoLinks In Text Adverts Tutorial. Yes Stallion works with sub-domains exactly the same as any domain. Below Navigation links (allows for 728 x 90 Leaderboard). Then, I add a widget to with the 728×90 banner details (using Text box) into Banner Ad Widget. It shows up, but it overlaps the right-side bar… how do I move it up (when I Ad Unit 2 = ON) the Adsense Ad does not overlap the right-side bar. The settings you mention are related to AdSense ads and so can’t be used for custom ads. The Content Ad Widget area (I assume you are adding your custom ad code there) is not changed in anyway by the AdSense settings. There’s currently not an above main content/below header widget area, so what you want to achieve isn’t possible with a 728px wide custom banner ad, at least not via a widget area. Would make sense to have a widget area there so will add one next update, this will involve adding a new widget area, so not a case of editing what’s already there. If you are up for a bit of code editing you could hard code the ad by editing one file. Replace “YOUR CODE HERE” with a fully formed banner ad, if it was a clickable image link (which is what most banner ads are) you’d create a clickable image link code like you’d add to a Text Widget or the bottom form of a Stallion Custom Ad Widget. After the next update create a widget and add it to the new widget area I’ll be adding. No time frame on the next Stallion update, really busy and not much time to develop. Update: The above is now possible in Stallion Responsive v8 without code modification, new header widget areas. I don’t see this file /stallion-seo-theme/header/header-ads.php in my installation. Or do you mean to create it from scratch? The file exists, since Stallion has a LOT of files (I wouldn’t even try to find files online in the WordPress Theme Editor) it’s probably easier to edit offline in a text editor and upload via FTP. Also makes sense to edit offline so you have a copy of your edited files, when you update Stallion all the files are recreated, so you will loose the edits online unless you use a Stallion Child Theme. Very interesting theme. I’m actually using “Aggregate” from Elegant Themes right now, but I’m considering this one for my next redesign. Really like it!